The PlayStation App will be available in North America on November 13th and Europe on November 22nd, a few days before the PS4 launch in both cases. The app will be a mobile companion for all things PlayStation, including second-screen game experiences a la the Wii U and latter games like Beyond: Two Souls. The app will have access to PSN social features and online multiplayer invitations, users can purchase PS4, PS3, and PS Vita content via the online store, and there's a remote control feature for movies, music, and supported games. Perhaps most interesting is the spectate feature, which will allow users to view live and recorded game footage shared from other players' PS4 games. Sony has been playing well with others lately, so I fully expect the app to be compatible with non-Sony hardware when it's released on the Play Store. An iOS version will be posted to the App Store as well. Unfortunately Sony didn't include any screenshots with the press release, but we'll be sure to let you know when the app goes live. The new app will presumably replace the previous PlayStation Official App, which appears to be exclusive to Europe and hasn't been updated in about six months. TOKYO, Oct. 25, 2013 /PRNewswire/ -- Sony Computer Entertainment Inc. (SCEI) announced that it will release PlayStation®App, a new application for mobile devices, on November 13, 2013 in North America, and on November 22, 2013 in Europe. PlayStation®App will be available free of charge. PlayStation®App can be downloaded onto various mobile devices, such as iPhone, iPad, iPod Touch and Android™ based smartphones and tablets, from the App Store and Google Play*1. 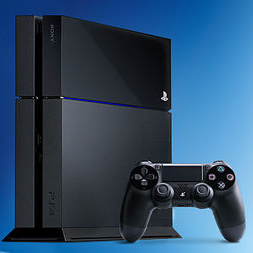 Once installed, these devices can be used as second screens in supported PlayStation®4 (PS4™) titles, and users can easily access PSN(SM) features such as Friend Lists and Trophies. Furthermore, users will be able to exchange messages with members of their Friends List, and browse through news and information on the official PlayStation® website. PlayStation®App comes with a variety of features that allow users to seamlessly access and enjoy the world of PlayStation®. Exchange messages between PS4 systems, PlayStation®3 (PS3™) systems, PlayStation®Vita (PS Vita) systems, and mobile devices installed with PlayStation®App. Users can access the PlayStation® official website to browse through news, blogs and game information. The language and content of the website will depend on the country the user's Sony Entertainment Network account is registered. Users can install PlayStation®App on to their mobile devices to use as a second screen in supported games. For example on THE PLAYROOM, a title pre-installed in all PS4 systems that requires PlayStation®Camera, users can draw pictures on their mobile device screens and flick them towards the TV. The images then appear as a 3D object within the game. When users' friends upload or begin live streaming their gameplay on PS4 systems, the friends' activities are displayed on "What's New" of the PlayStation®App screen. When users tap on this notification, they can boot pre-installed applications, such as browsers, to spectate the uploaded gameplay. Users can also post comments on gameplay screenshots, footage and live streams. Users can purchase game content*2 while away from home and download it directly onto their PS4, PS3, and PS Vita*3 systems. Once installed, users can use their PlayStation®App to control their PS4 system as long as both devices have access to the same Wi-Fi access point. For example, users can switch their PS4 system to standby mode, startup their PS4 system from standby mode, and use their mobile phone as a keyboard for their PS4 system.